Do You Know the Value of Your PR Program? 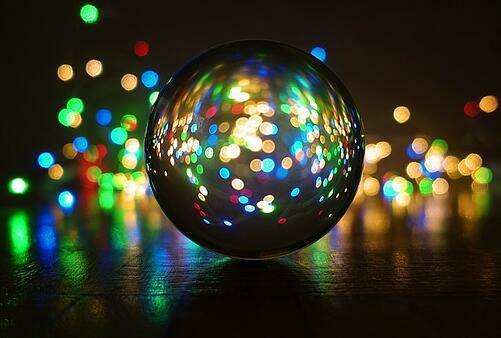 Do you feel like you are always looking into the crystal ball when it come to measure your PR program? With discipline and a solid digital marketing program, you can measure the value of your PR program. There seems to be an ongoing debate on the value that PR brings to an overall marketing program. While much of PR’s impact isn’t always tangible, measurable, or immediate, many organizations fail to consider the critical importance of PR in their overall marketing strategy. We find that our clients that integrate their PR and content marketing programs have more brand visibility and sell more products and services. Our clients that strictly use content marketing will almost always reach a plateau where they have to invest significant dollars into paid advertising to reach beyond their organically grown network. Our clients that strictly rely on public relations also find a saturation point unless they are regularly feeding a news program. Clients that have combined programs tend to create the surround sound effect faster and in a more credible way. 70% of the buyer’s journey is now digital. Buyers can be up to 90% of the way through their journey before they want to talk to sales. In a B2B buyer’s journey, there are up to 13 different touchpoints during a buyer’s journey. Yes, 13! At the highest level, the buyer’s journey consists of three different stages: Awareness (top-of-funnel), Consideration (middle-of-funnel), and Decision (bottom-of-funnel). Public relations is a top and middle-of-funnel activity with the primary goal of raising brand awareness and creating validation for your products and services. The resulting earned media hits a wide audience with third-party validation. In contrast, owned/branded content promoted through content marketing will hit the audience or network that you have already touched or have organically grown unless you use paid tactics to hit a broader audience. Even if you use paid tactics, you will still not get the same third-party validation and credibility solely using content marketing. How can you measure the impact of public relations on your business? Measuring the impact of PR is still challenging. There is still no standard methodology for creating a financial value on brand awareness. However, we have found that it is not uncommon for prospects to pick-up the phone and call the person listed on a press release for more information. In fact, the Red Javelin team fields these calls regularly and we have a process in place with every client to ensure the lead is handed off properly and tracked through their CRM system. Our friends over at Trendkite (just purchased by Cision) have developed a good framework that categorizes PR metrics and PR’s impact in three separate ways; Brand Impact, Digital Impact and Bottom Line Impact. Let’s take a closer look at Trendkite’s model. Trendkite cites three major groups of metrics under brand impact: Awareness, Mindshare, and Reputation. Awareness - Brand awareness does not have a specific financial value but is part of the collective effort necessary for marketing to drive incremental sales. Prospects need to know that you exist and that your offerings are real. The more frequently your brand is out there, the better your chances of becoming known to your potential buyers. Metric: Track the number of mentions over time. Segment the mentions into feature articles where your brand is prominently featured and into industry articles where your brand is mentioned in a broader context. Mindshare – How do you stack up against your competition? Many marketers understand how their offering stack up but how do you stack up in terms of brand mindshare? Metric: Share-of-Voice is a snapshot of your mentions and featured mentions versus your competitors. Reputation – There is value in building a good brand reputation and it is important to nip any negativity in the bud. Keeping a close watch on your reputation is vital to your brand’s success. Metrics: Social amplification, sentiment, and key message pull-through. Public relations has a significant impact on your digital marketing. It has impact on web traffic, SEO, as well as social amplification. Traffic - Most of our clients with a solid drumbeat news programs find that the Newsroom is usually one of the top 10 most visited pages on their website. It is important to understand what is driving that traffic and track what that traffic is doing once it reaches your site. Metrics: Referral traffic from backlinks, correlate spikes in traffic to earned media, and watch the traffic patterns once they are at the site to determine content downloads. SEO – PR helps companies boost organic traffic by securing high-quality backlinks from earned media coverage. If you’re frequently linked to on social media or influential blogs, Google sees that as organic interest in, your brand, which has a positive impact on your company’s search engine ranking. Social Amplification – Social amplification happens when people Share or Like your content on social networks such as Facebook, LinkedIn, and Twitter. Coverage that is socially shared tends to be coverage that connects with your audience. Influenced Pipeline – Of all the opportunities in the pipeline, how many are there as a result of PR? It is difficult to track but by adding PR as a campaign or lead source in your marketing automation system, it is possible to begin to capture some of these opportunities. Conversions – A conversion happens when a website visitor takes some type of action. It could be filling out a form or downloading a piece of content. Google Analytics makes it possible to report on this by tagging ‘high value activities’ or ‘conversions’. Metric – Analyze referring sites to determine which press releases, mentions and articles are driving converted traffic. Revenue – If you are tracking and assigning a dollar value to conversions, then you can understand how PR impacts overall revenue. It is not uncommon for prospects to pick-up the phone and call the person listed on a press release for more information. In fact, the Red Javelin team fields these calls regularly and we have a process in place with every client to ensure the lead is handed off properly and tracked through their CRM system. Individually, none of these metrics tells a complete story. You need to be looking at all of them, holistically, to ensure your PR program is making a difference. Need help with your PR or content marketing programs?